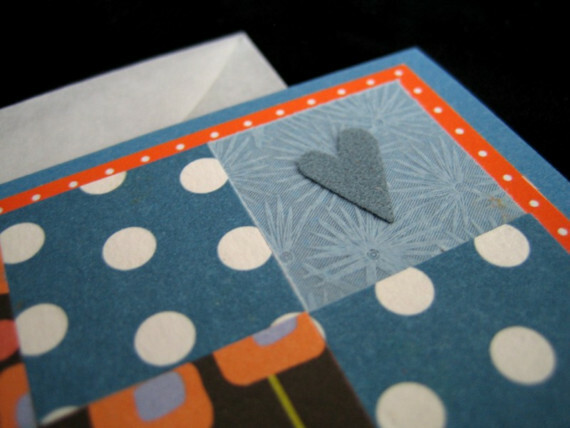 I’m a sucker for paper collage and love to make cards using all different kinds of papers — some fancy craft papers as well as bits of pages torn out of magazines. 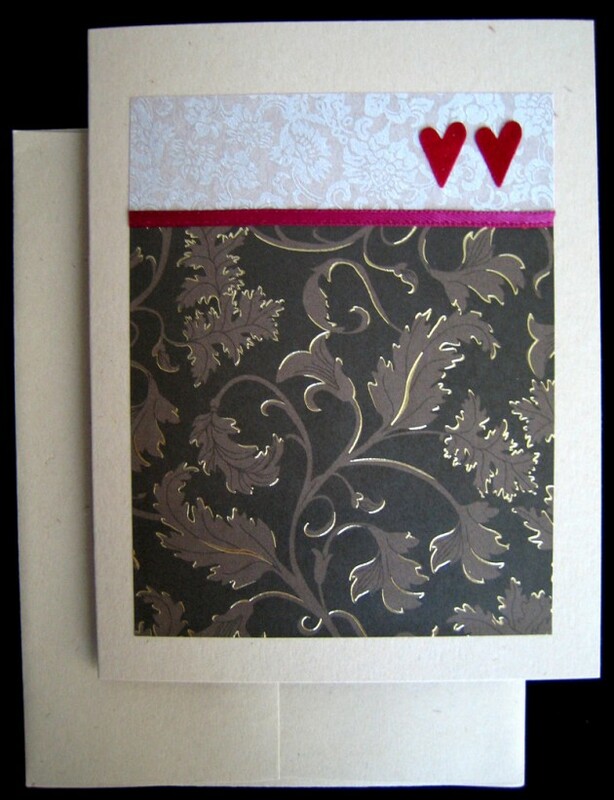 I’m drawn to straight, tidy edges versus more organic shapes. 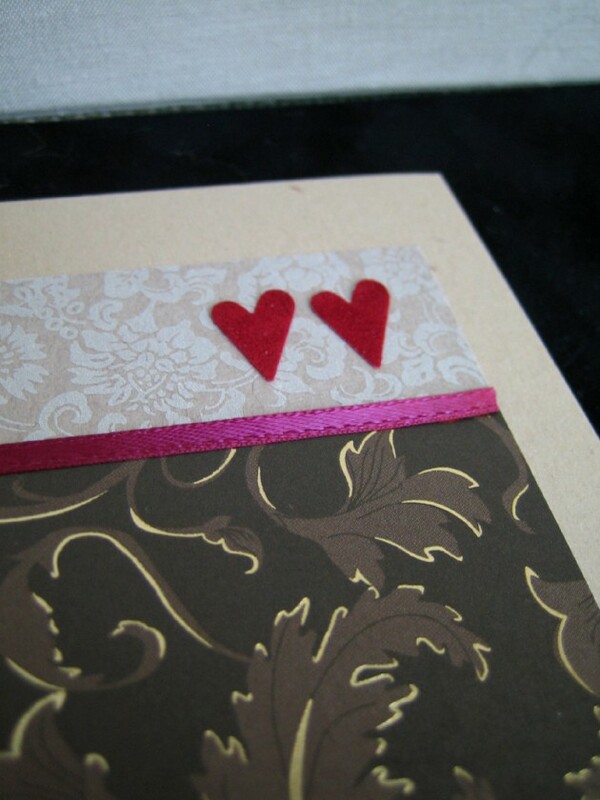 And apparently, I use those little hearts a lot (I swear I make things without those hearts!). 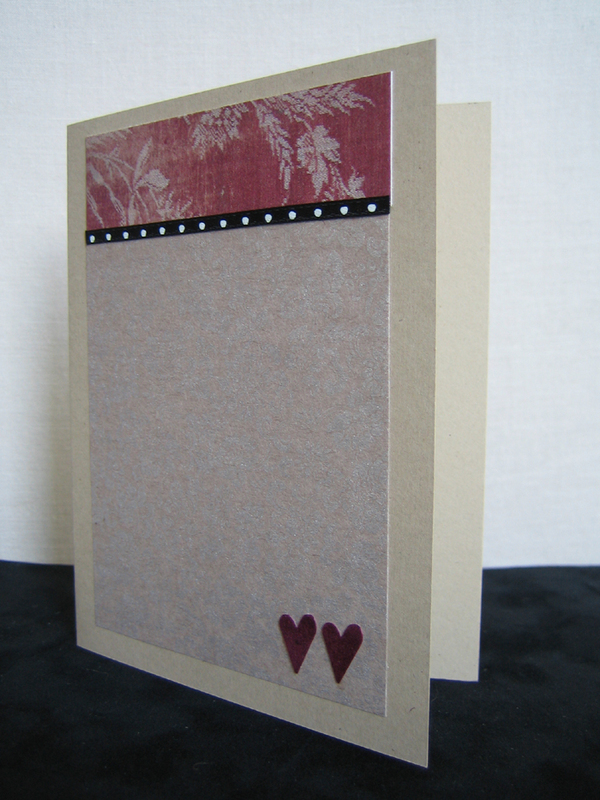 For the non-grid cards, I added thin ribbon accents. 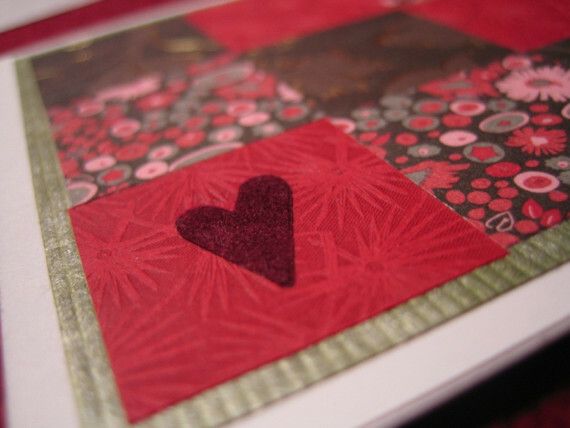 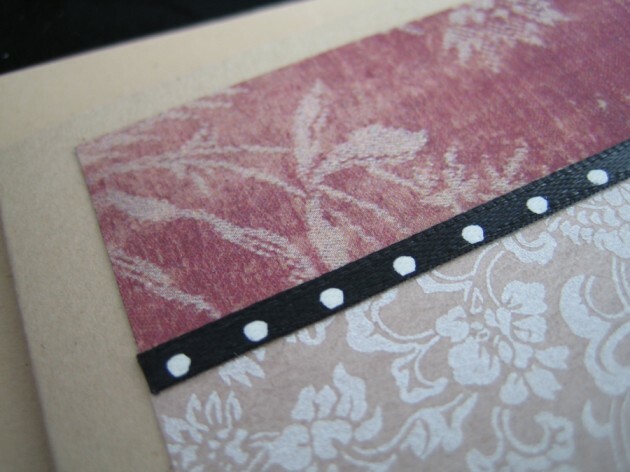 Materials: Paper, xacto knife, glue and ribbon – so simple!